Scott, Kristin. (2016). The Digital City and Mediated Urban Ecologies. Cham: Palgrave Macmillan. ISBN: 9783319391731. Kristin Scott’s The Digital City and Mediated Urban Ecologies explores the era of digitalized cities. This book made noteworthy claims concerning city’s relationship with technology in terms of social, economic, and political utopianism. Other themes explored in the book are neo-liberalism, security and surveillance, and political participation and democracy. Scott further investigates three American cities (New York City, San Antonio, and Seattle) in order to fully conceptualize her overall themes of utopianism, neo-liberalism, and security. Specifically, throughout the book, Scott initially describes how the surge of digital technology in cities is justified by the cities’ goal of digital utopia. However, as Scott reveals through investigation of the three American cities, many issues the cities attempt to solve through technological amenities are further complicated or serve other larger systemic intentions. For example, in the chapter discussing Seattle, Scott explains how the city has introduced numerous digital technological programs to address racial and class disparities; however, Scott reveals that with citizen’s access to technology such as public crime maps, social and economic disparities are further exacerbated. I thought this claim was an interesting perspective on the functionality of technology since my previous understanding of mass-digitalization in cities was to promote inclusion. However, as Scott demonstrates, there appears to be negative effects to the collection of data within cities. Furthermore, Scott describes how the digitalization of cities can conceal the city’s overarching ability to construct productive citizens. As explained in the chapter concerning New York City, some cities will aim to improve democracy, transparency, and citizen’s engagement. 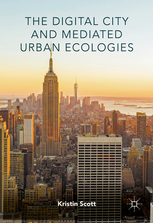 However, Scott concludes that through New York City’s attempts to improve governance, digital technological programs are misused and represent a mechanism of biopower to fulfill neo-liberal interests. By using Michel Foucault’s concept of biopower, Scott explains how digital technological programs interpellate citizens to behave in a favourable sense. This concept is further supported in Scott’s chapter about San Antonio where she discusses how citizens can be interpellated to assist in the protection of democracy through cyber security. Essentially, San Antonio has initiated programs where citizens self-police one another in order to maintain security of the internet or other digital technological programs. Despite the fact that I previously had limited knowledge of the digital technological programs present New York City, Seattle, and San Antonio, I found this book to be unexpectedly captivating. Therefore, I would argue that the appropriate audience for this book would those who are interested in globalization, technology, and how these topics interact and effect neo-liberalism, security, citizenship, and democracy. Also, this book incorporated theoretical concepts suggested by compelling philosopher such as Michel Foucault and Richard Grusin. For example, Scott explains the functionality of digital technology in terms of Foucault’s concepts of biopower and surveillance, while also using Grusin’s concept of mediality and premediation to discuss how technology is a governing apparatus of citizens, especially in regards to security. Essentially, Scott intended to analyze the functionality of digital technology in regard to cities. Scott explained that cities utilize digital technology in order to interpellate their citizens to act in favour to the city’s larger goals, that is, their neo-liberal goals. For example, if the city releases a mobile application where citizens can report crime, this transfer responsibility, to some extent, from police services onto to citizens. Rather than police having to patrol the city or the city having to finance emergency dispatchers, the mobile application would be the communicative median between citizens and the police. Therefore, the city will save money while also instilling the responsibility of reporting crime or emergencies in the citizens. This means that through the production of digital technologies, citizens are taught to survey their environments for the protection of their city and follow citizens. I think this theme reveals the extension that technology unknowing coerces citizens into performing the will of the city, which in this example, would be to have citizens survey one another in order to protect the city. I found this concept to be convincing, and the example Scott explained in regards to New York City and San Antonio were further interesting.